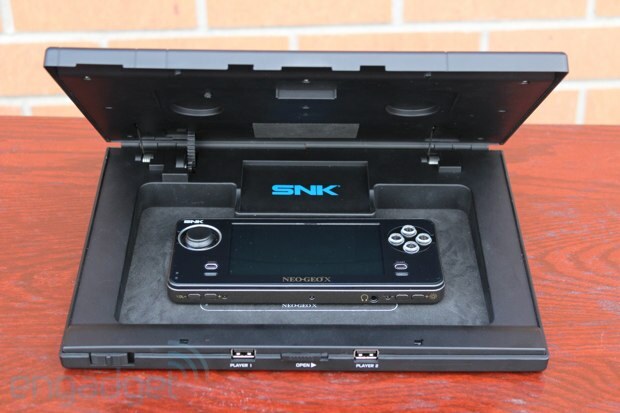 The SNK Neo Geo X!!! Re: The SNK Neo Geo X!!! Wish I had his job! LMFAO, just sat hear cracking up at that... Magnifying glass indeed lol.. I take the Magnifying glass slant back, those holes are actually for wiring through cables to the next player behind him, without him moving out of the way. This site is fully live now.. It has come to our attention that some online stores are trying to sell the NeoGeo X without actually ordering any stock, or becoming an official NeoGeo X seller (therefore on release day they will not have any stock to sell you) - these stores are trying to take advantage of the public's excitement of the product to g...et your money. Only ever order from stores listed on these pages: http://neogeox.com/buy - regardless of what they tell you or what price they offer you, the only retailers who will be able to sell you this product are listed on the official website. If in doubt, email sales@neogeox.com and we will confirm whether they are official or not. looks great - especially in special edition - but sadly it's not a good time funds wise for me, so unless the production run is long and it's still on sale in 6 months time, i'll probably pass. It will be as they are bringing out a standard edition next year without the stick and docking station and of course more games too. Yeah i will get one, just ordered a Vita for xmas so i can not justify this now.. I am still very tempted by this! If I had the money I would be ordering this right now. Same as. I have a Vita on my cards first and foremost.